Ireland is synonymous with foxhunting and horses. The hunting country is as varied and challenging than will be found anywhere else in the world. In some areas the land is criss-crossed by stone walls, in other parts of the country the obstacles can be big ditches or banks. The Irish hunting horse is as unique as the country itself, an animal that is hard to match in its courage, tremendous jumping ability and kind temperament. 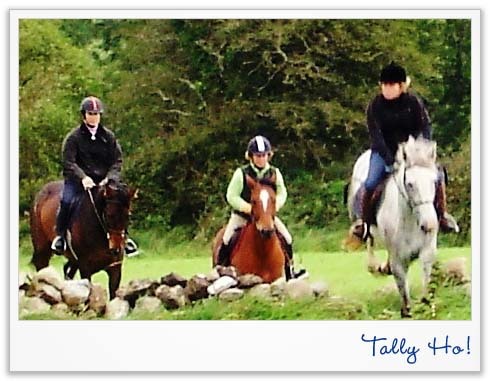 With a selection of experienced hunters to choose from, Ireland is second to none in this area of equestrian sport. The hunts are legendary: The Galway Blazers, Scarteen Hounds- Black & Tans, Golden Vale, Dunhollow to name a few. For a unique hunting holiday in Ireland contact, Forest Luck Equestrian, a hunting get away to suit all, from the experienced to the first timer.